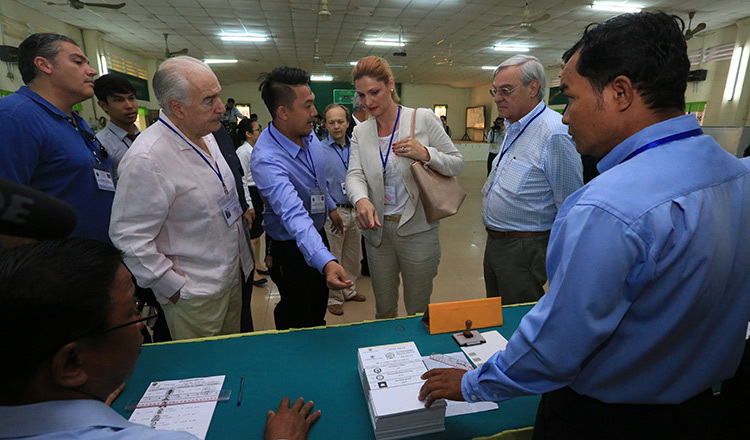 The Norway-based Cambodia Watchdog Council International has appealed to Cambodian people not to vote in the upcoming national election unless the former opposition CNRP were allowed to run. 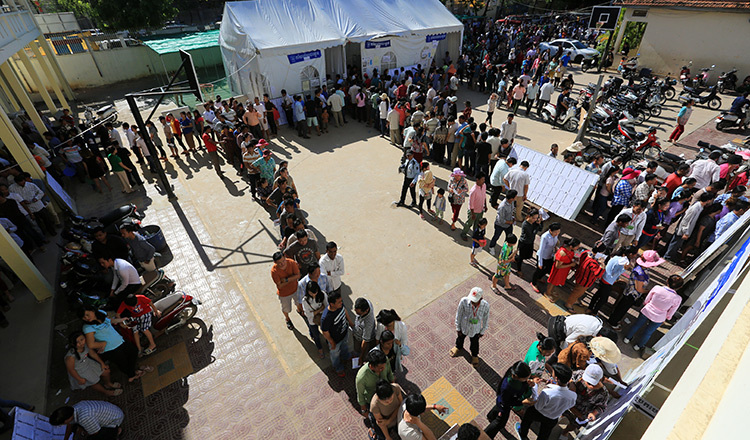 An appeal letter, issued on Wednesday and signed by CWCI chairman Men Nath, said Prime Minister Hun Sen needed the votes of more than 50 percent of the total number of eligible voters across the country. The group called on eligible voters not to cast their ballots on July 29, saying the poll would not be free and fair without the presence of the former opposition party. The CNRP was dissolved in November. 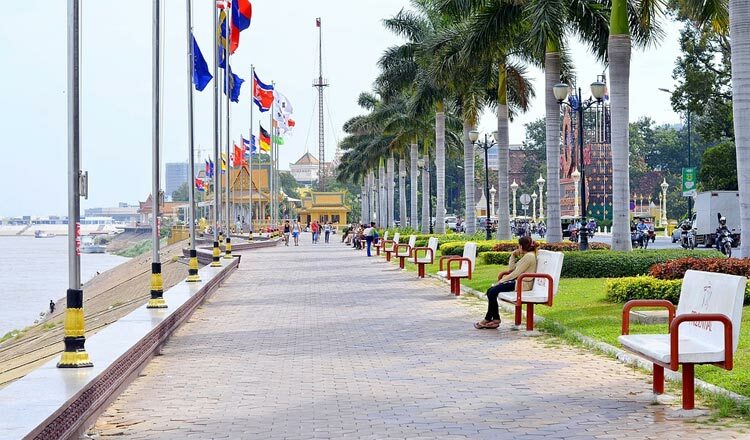 “Mr Hun Sen needs this to show the international community that Cambodians are satisfied with the current regime,” the letter said. During a gathering with workers last year, Mr Hun Sen urged people across the country to take note of the date of the 2018 general election, which he said would be held without delay. Participation of all political parties in the election was the right of each party, he added. 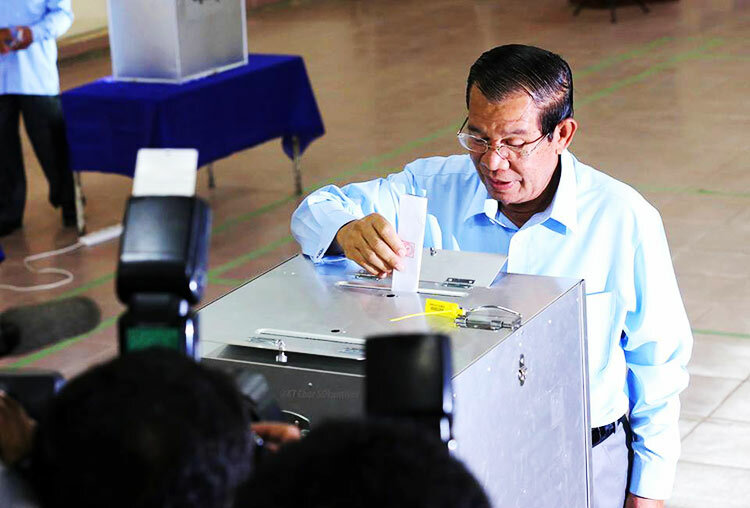 For the previous national election in 2013, the National Election Committee announced that some 9.67 million Cambodians were eligible to cast their ballots to elect the 123-seat National Assembly. Voter turnout was reported to be 68.5 percent, making it the lowest turnout in history. 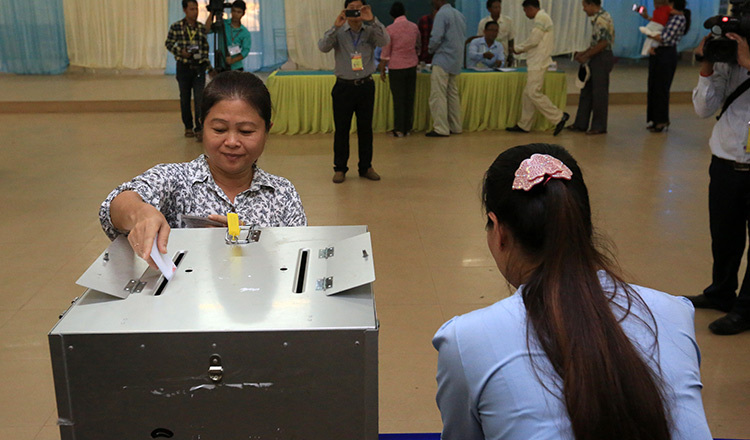 The ruling CPP won 68 seats and the CNRP won the remaining 55 seats. The opposition boycotted the result, citing huge polling irregularities. The law says elections for the National Assembly will be held every five years but gives no other guidelines for setting the date. 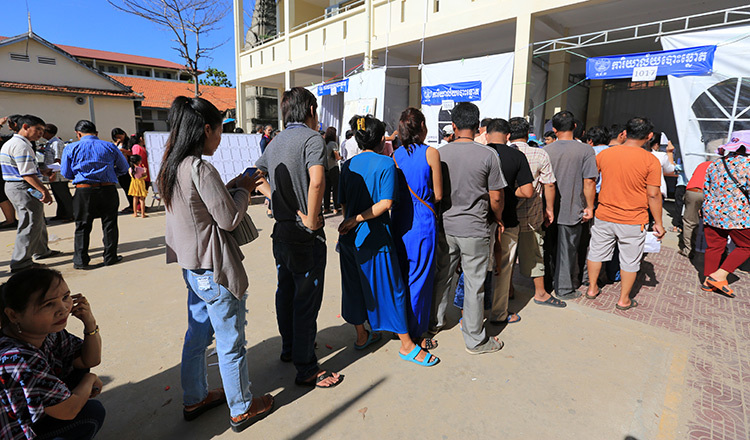 Sotheara Yoeurng, former legal and monitoring officer at the Committee for Free and Fair Elections in Cambodia, said that according to election law, anyone who obstructs a voter from going to the polls is punishable by a fine of up to $5,000. If a political party or candidate of a registered contesting party committed such an act, they would be punishable with a fine and removed from contesting the election, he added. “However, it doesn’t apply to legal entities besides political parties. 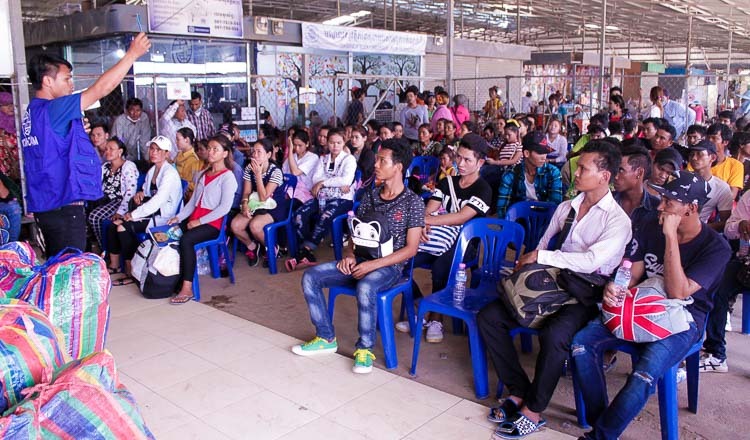 Cambodian election law has its jurisdiction over any people committing an offence in the territory of Cambodia,” Mr Yoeurng said. CPP spokesman Sok Eysan said the group’s appeal would prevent people from exercising their political rights as stipulated in the constitution. “This activity can be considered a full-scale political scandal. 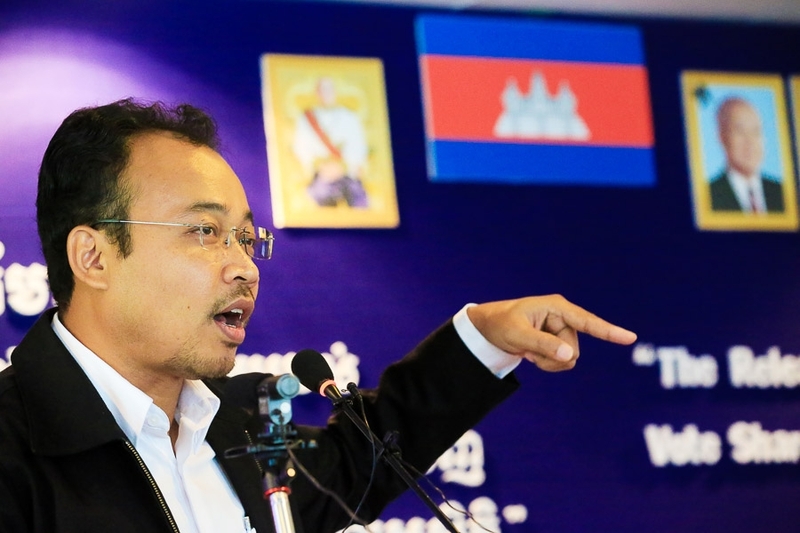 We can accuse the Cambodia Watchdog group of joining with outlawed rebel groups who are actively trying to exterminate Cambodia’s democracy from abroad,” he said, in an apparent nod to the recently established Cambodia National Rescue Movement. Mr Eysan said he wanted to ask the relevant ministry to review the statute of the Norway-based organisation, which aims to protect civil and democratic rights in Cambodia.